President Donald Trump used Twitter on Sunday to weigh in on the U.S. and South Korea’s decision to end their annual large-scale joint military exercises. South Korea’s National Defense Minister Jeong Kyeong Doo and the acting U.S. Secretary of Defense Patrick Shanahan agreed to end the two major joint military drills — known as Key Resolve and Foal Eagle — over the phone on Saturday, the Pentagon said in a statement. The two “made clear that the alliance decision to adapt our training program reflected our desire to reduce tension and support our diplomatic efforts to achieve complete denuclearization of the Korean Peninsula in a final, fully verified manner,” they said in a statement. 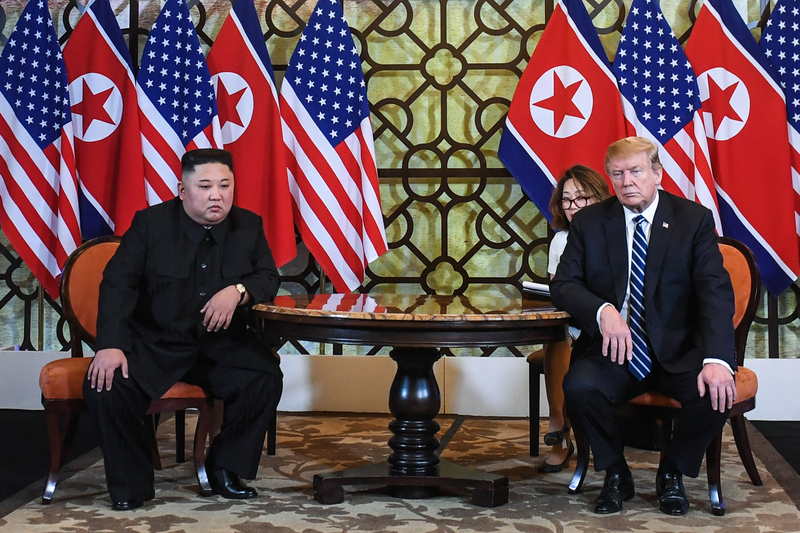 They came to the decision days after Trump and North Korean dictator Kim Jong Un’s talks in Hanoi, Vietnam. The talks fell apart. However, other U.S. officials told NBC News the decision to curtail the bigger exercises were not related to the Hanoi summit. Trump has been a critic of the exercises since taking office, according to NBC News. There will still be a smaller-scale training, which starts Monday. The U.S. had “no plans” to suspend military exercises with South Korea when former Defense Secretary James Mattis was in charge, he said in August.